As HBO’s True Detective has proven, Americans love their Dicks. The true crime and true detective genre is as American as apple pie. 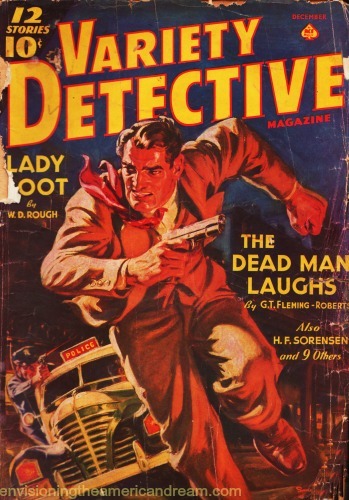 Long before the much talked about, much tweeted about cable series lit up the internet with speculation worthy of a college course in forensics or metaphysics, armchair sleuths got their fill of grisly crime scenes, hard-boiled detectives and loose dames through the pulpy pages of True Detective Magazine. 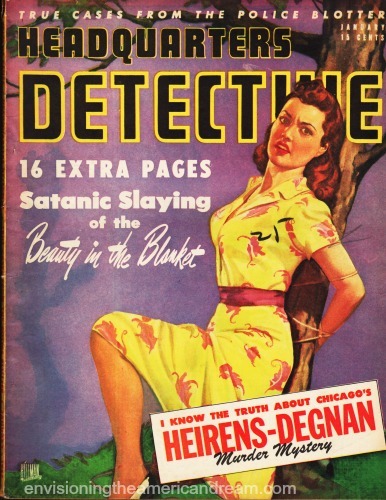 As True Detective true believers obsessively hash out the minutia of the final outcome of the series, I pay homage to its pulpy whodunit predecessors. 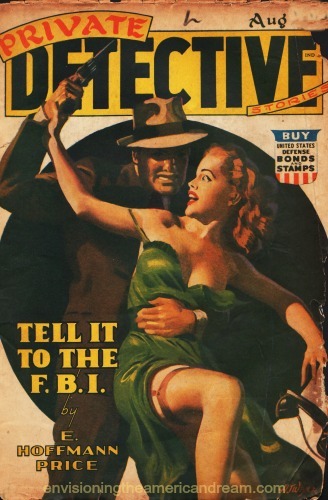 For the first half of the 20th century a boatload of American pulp magazines published real life stories of crime.It was a landscape littered with gin mills and gumshoes, flophouses and gun molls, Mickey Finns and fast talking floozies ready to drop a dime. Most of all it was coppers and hoods packing heat. 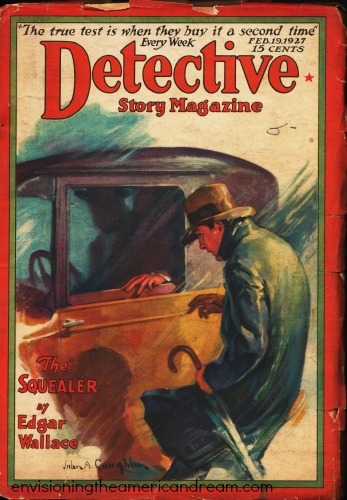 In the midst of the roaring twenties a time of excess spawned by widespread disregard of national law, bootleggers and gangsters flourished along with fast cars and fast girls, and a public hungry for sensationalism had an insatiable appetite for crime stories and scandal. The true life crime stories- the more lurid and ghastly the better- came straight from the police blotters. Moonlighting police reporters along with magazine staff writers rewrote stories shared by local police detectives and sheriffs. 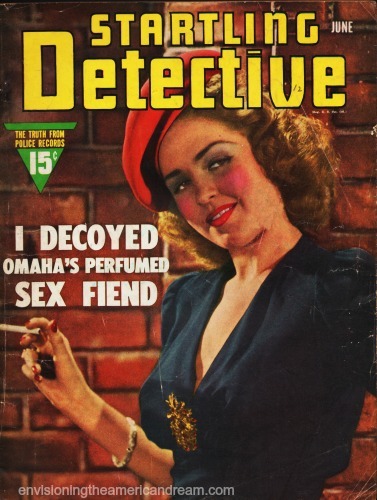 True Detective and other magazines that soon followed, gave the reader more than the newspapers or newsreels could give them. Inside they published gruesome murder scene photos that respectable newspapers did not have the stomach to run. 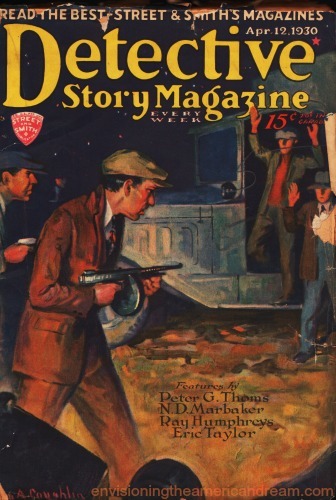 The non fiction pulp magazines brought to life the real life drama ripped from the headlines of the 1920s and 30s with sensational stories of notorious gangsters such as Al Capone, “Baby Face” Nelson, “Pretty Boy” Floyd, “Machine Gun” Kelly, and public enemy number one John Dillinger. In 1931 True Detective Mysteries started a regular feature called “Line Up” where police departments all across the country sent in mug shots and descriptions of fugitives on the run. 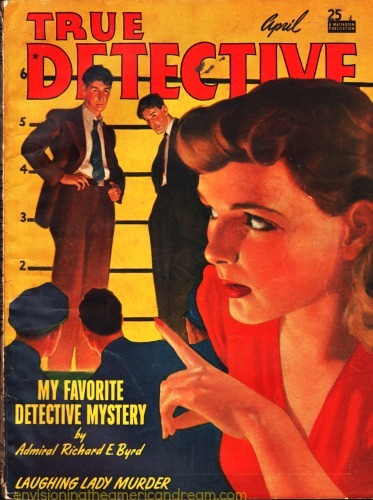 Crime might not pay but for depression era readers who could get small cash rewards for information leading to arrest, it paid off handsomely. 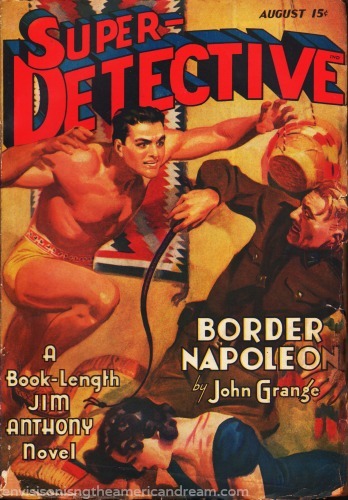 The same could be said for Bernarr MacFadden who at his peak was selling 2 million magazines a month. 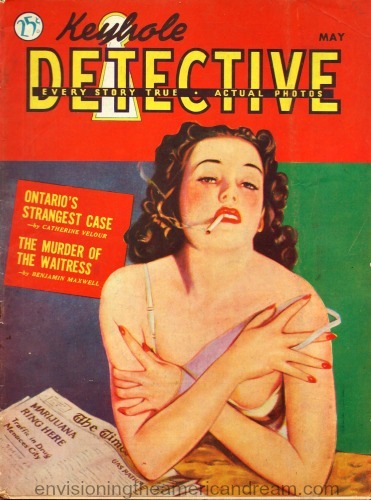 By the 1930s and ‘40’s a true crime buff could choose between a hundred magazines at the newsstand. 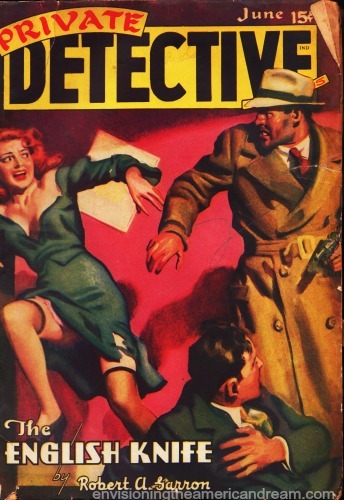 As long as the title contained Detective, it would sell. . 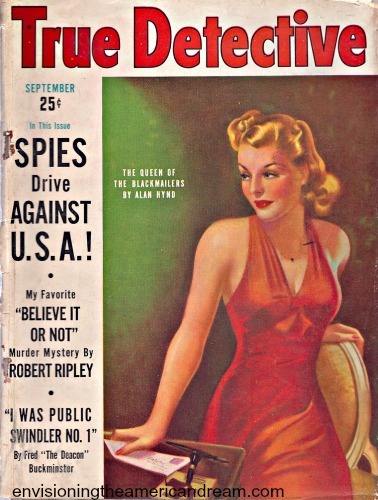 These early 7″x10″ magazines derived their nickname from the cheap pulp paper in which their black and white interiors were printed. 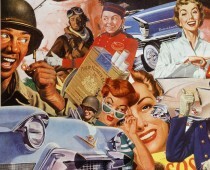 Twelve Stories for 10 cents Published bi-monthly by Ace Magazines Inc. Covers were glossy, lushly painted in full color often featuring scenes of scantily clad dames in distress. 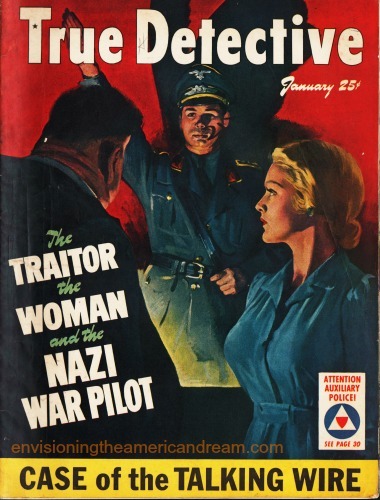 By the end of WWII the golden age of true detective magazines came to an end. 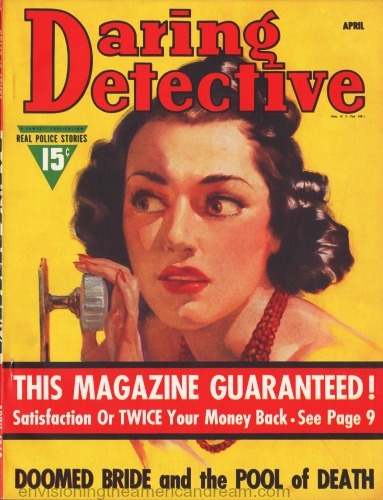 True Detectives was sold in 1971 and ceased publication in 1995. There was one thing all these magazines had in common, month after month year after year.It was that good prevails over evil, True to form, 70 years later True Detective showed us that light always wins over darkness.